We’ve got another reason to thank childhood friends Edoardo Perlo and Stefano de Blasi, founders of Salt Meats Cheese. Why? Because they’ve opened another one, the biggest of the lot. 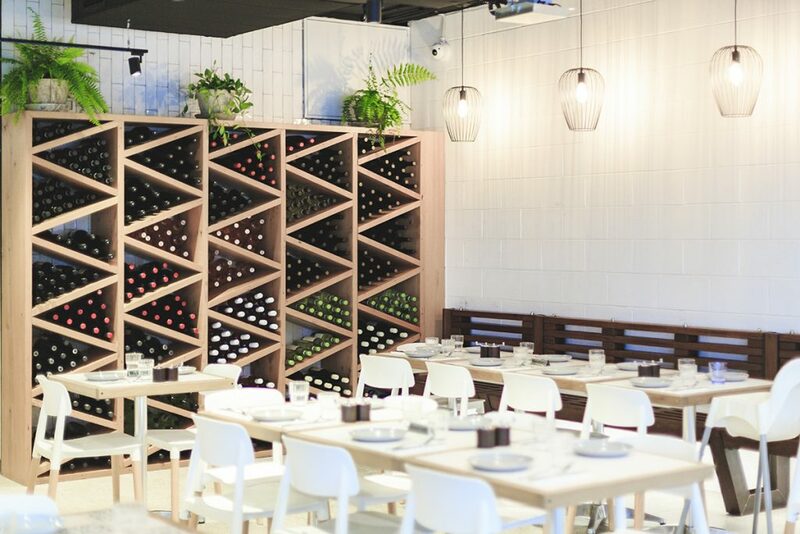 Spanning 240sqm the restaurant is in Sydney’s Northern Beaches, in Dee Why. 240sqm of delicious and fresh Italian goodness; prosciutto, pizza, pasta, antipasto – anything your European-craving heart desires. The newest venue is an open and light space comprised of raw steel and large glazed elements, allowing people to see into the venue’s open kitchen, complete with a large pizza oven and bar space. The 120pax venue, designed in collaboration with Decon, follows the group’s philosophy of providing a unique sensory experience through rich materiality, as each element is custom designed and handcrafted to create a bespoke setting. Greystone benchtops and reclaimed timber feature throughout, while recycled Oregon and terracotta tiles juxtapose the raw steel, allowing for a visually stimulating dining experience as the customers move throughout the formal waiting area, bar and restaurant. The design is a modern nod to the coastal towns of Italy. But the real magic happens once you sit down, relax, take a sip and indulge in the authentic Italian dishes. 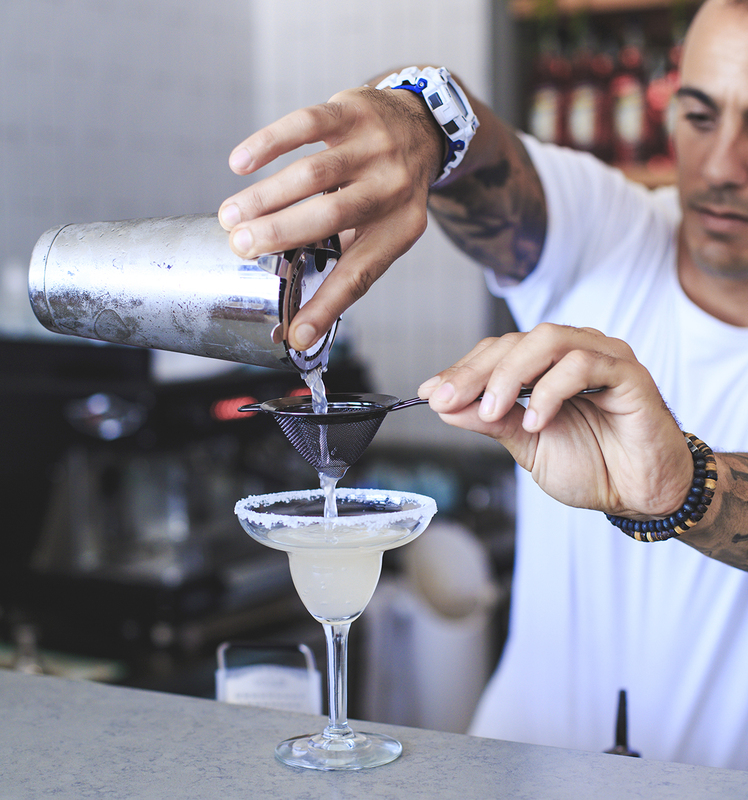 First off, you can’t go past an aperitivo – it would be wrong if you did. 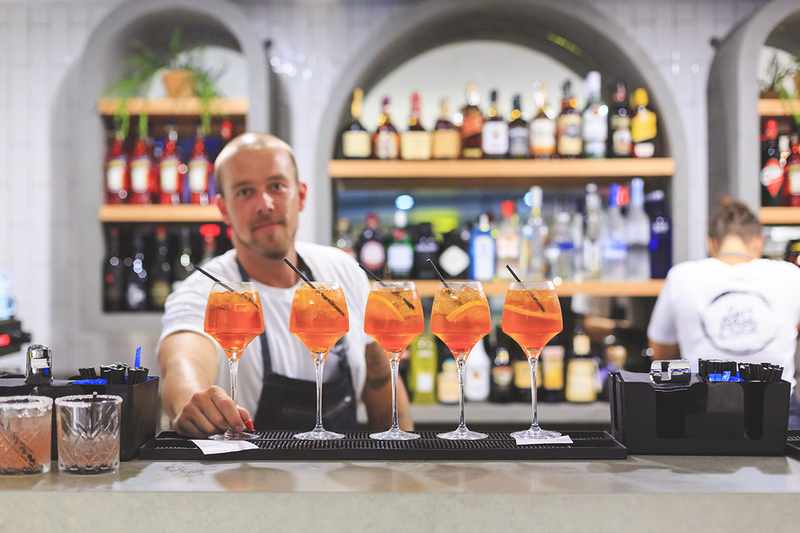 With four spritzes’ on offer, a range of house cocktails, mocktails and sours, you’re spoilt for choice. We recommend the Wild Berry Spritz ($16) with berry-infused Gin, fresh berries, Prosecco and Soda. A delicious and refreshing mix to prep your palate for the sensational feast it is about to experience. If beer is more your style you could, of course, go for a traditional Peroni, however, it was suggested to us by knowledgeable staff that a Menabrea ($8.5) from Piemonte, Italy was the better pick. They weren’t wrong. Now the food – Loosen your belts and settle in for a real treat. To start we had the Pizza Bread ($7), a thin and crisp pizza dough topped with creamy melted garlic butter and rosemary salt, which was accompanied by the Fried Calamari ($19) with crumbed zucchini, pickled chilli and aioli. Possibly the lightest and moorish little rings we’ve ever eaten. And what’s an Italian experience without a plate load of Proscuitto San Daniele ($17) and fresh baked peaches and pinot grigio? Soft and melt in your mouth, with the perfect balance of salt. 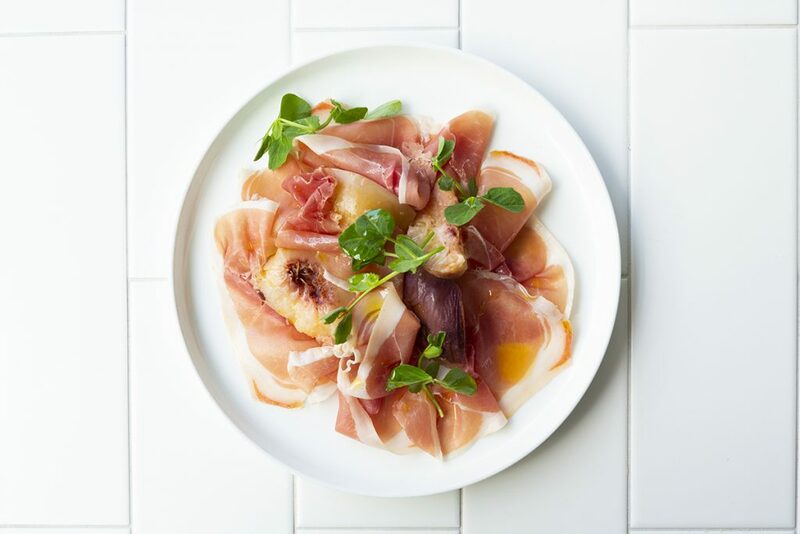 When it comes to Proscuitto, always go San Daniele, becuase if you pick otherwise you’ll be haunted by every Nonna in Australia, past and present. 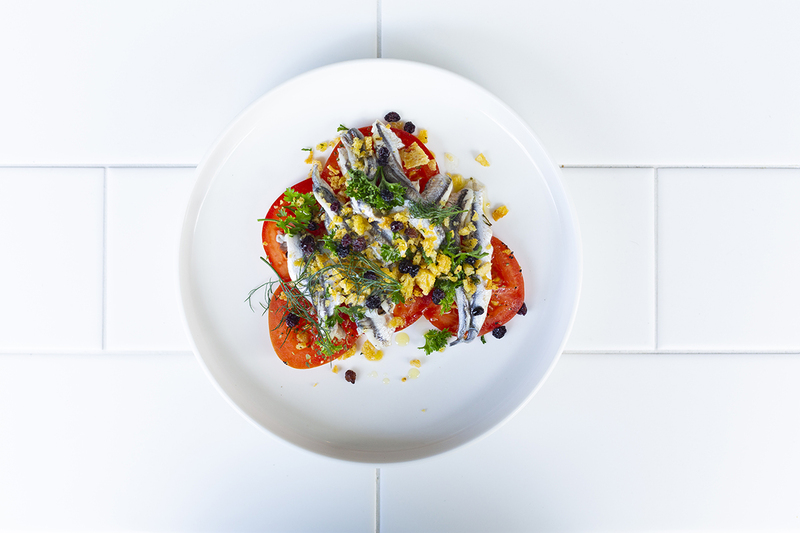 Other stunning entrees we spotted on surrounding tables included the Burrata ($15) with grilled eggplant, basil and rocket pesto and the Anchovies ($14), baked white anchovies with fresh tomato, herbs and breadcrumb. 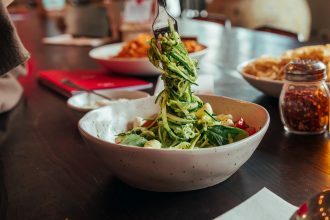 For the main event, we ventured away from trying the traditional pasta and pizza to see if they would implement the same skill and authenticity across multiple dishes. The Risotto Pumpkin ($23) was an absolute stand out. 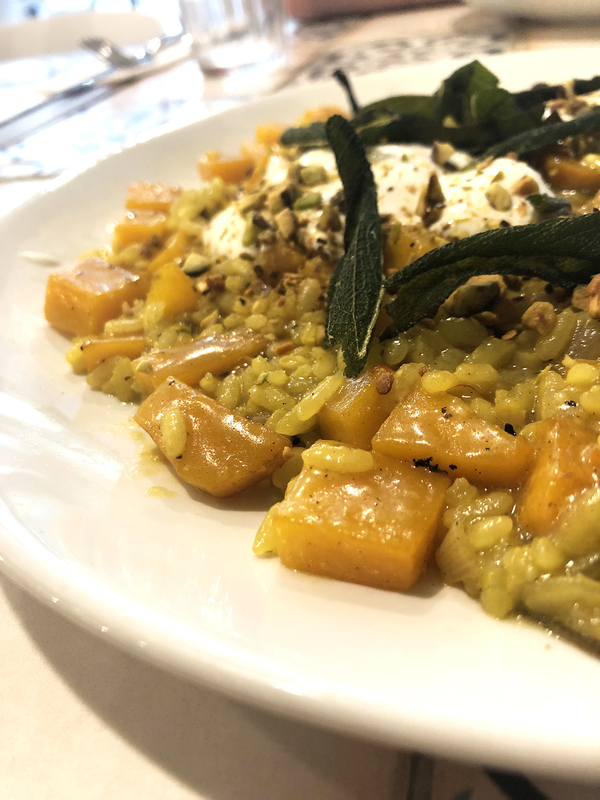 Infused with Saffron, pistachio and brown butter, then topped generously with salty and cooling goats cheese and crispy sage- this dish covered every texture perfectly. 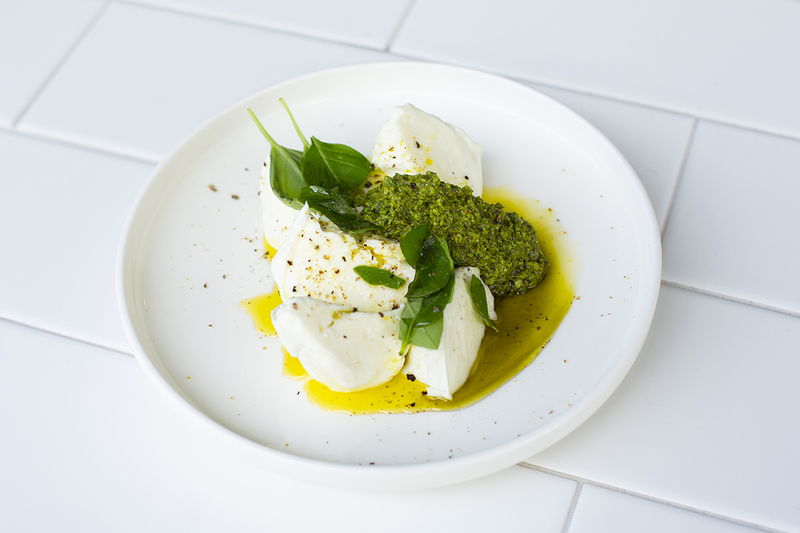 The light crunch of the rice, the oozing and smooth cheese, the snap of sage and the notes of toasted nuts with a hint of smoke; you found yourself jet-setting to a hole-in-the-wall authentic restaurant in Italy. For our light option, we picked the Salmon ($25) – a 200-gram seared fillet, roasted peppers and salsa verde, which we demolished. 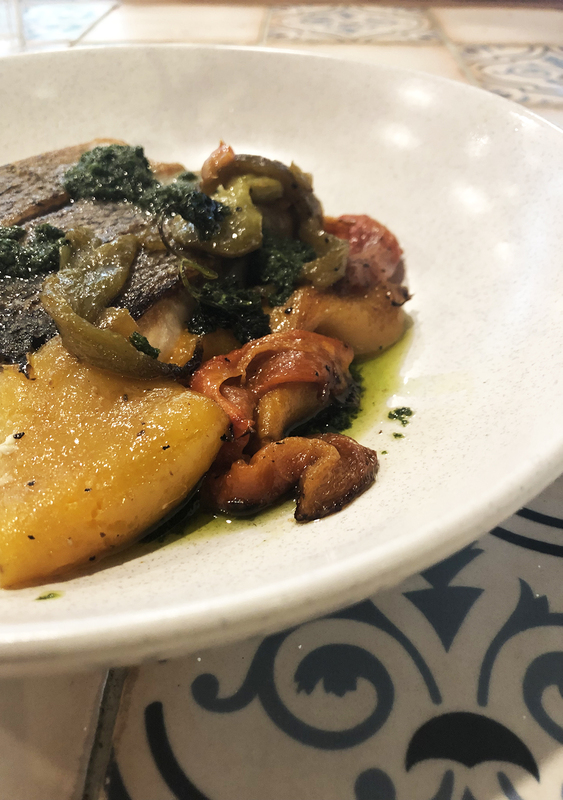 The salmon gently broke into flakes and melted on the tongue, whilst the burst of sweetness from the red peppers and the refreshing punch from the salsa verde brought the dish together in perfect harmony. Simple, jam-packed with flavour and a light, yet generous portion. Whilst enjoying our picks of the bunch, a variety of hearty and drool-inducing smells poured from the kitchen, injecting curiosity and food envy. One, in particular, was the Crab Tagliolini ($26) – Blue Swimmer crab, zucchini, cherry tomatoes, garlic, chilli and herbs. 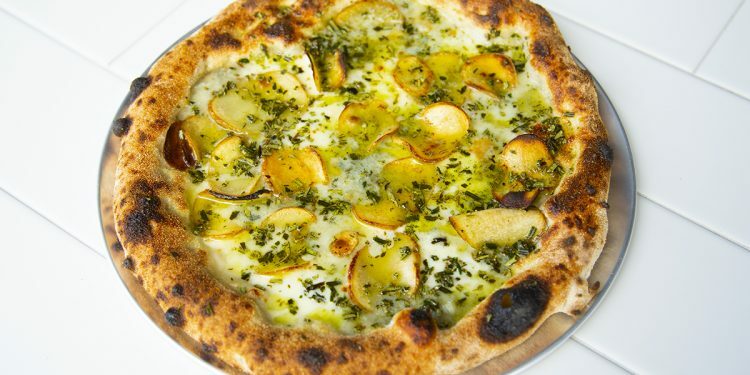 A dish that we will certainly be trying upon our next visit. 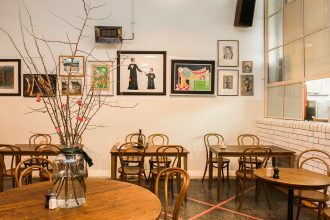 Venue – open, relaxed and pretty, Food – delightful, authentic and delicious, Service – wonderful. Every dining experience, no matter where you are; a Michelin star restaurant, a local cafe or a take- away shop, will be affected by the service. You can have great service and great food- double win, great service and ok food – you’ll probably go back; amazing food and terrible service, you’re not going back. That’s why we wanted to highlight the staff. 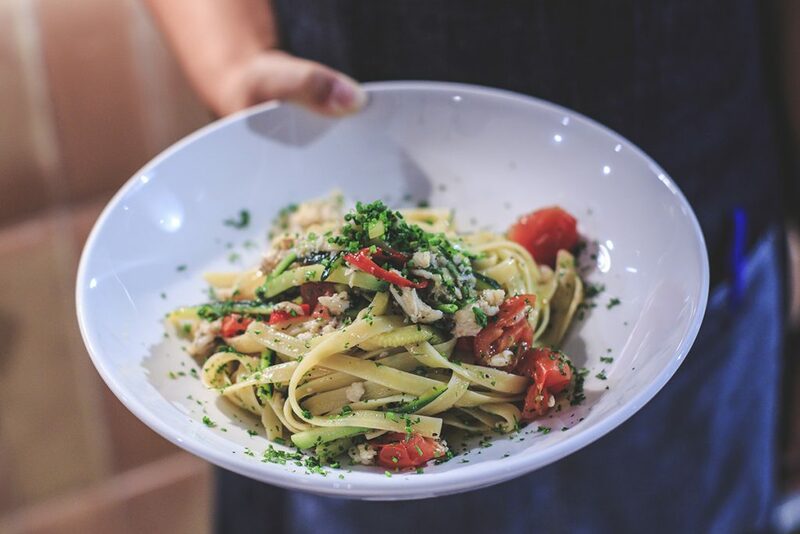 From the greeting at reception to our waitstaff and kitchen staff; the entire team were knowledge, interested in your dining experience and effervescent, exuding their passion for all things Italian into every sip and bite you took.